Thank you Hunter Fan Company for sponsoring this post. 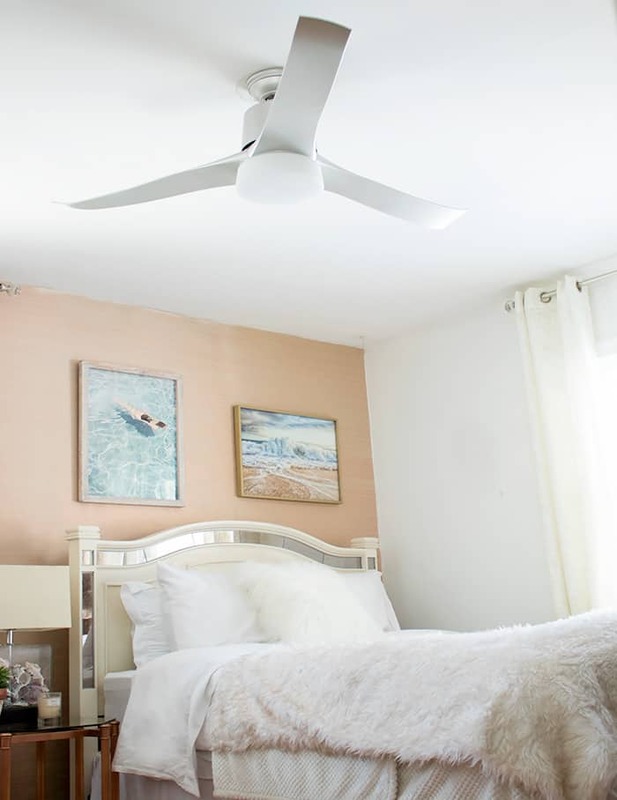 After moving into my new house, one of the first things I did was take down the bad, early 90’s brass and wood ceiling fan in my bedroom and replace it with a regular light fixture. It looked a lot better but I soon missed the extra airflow. 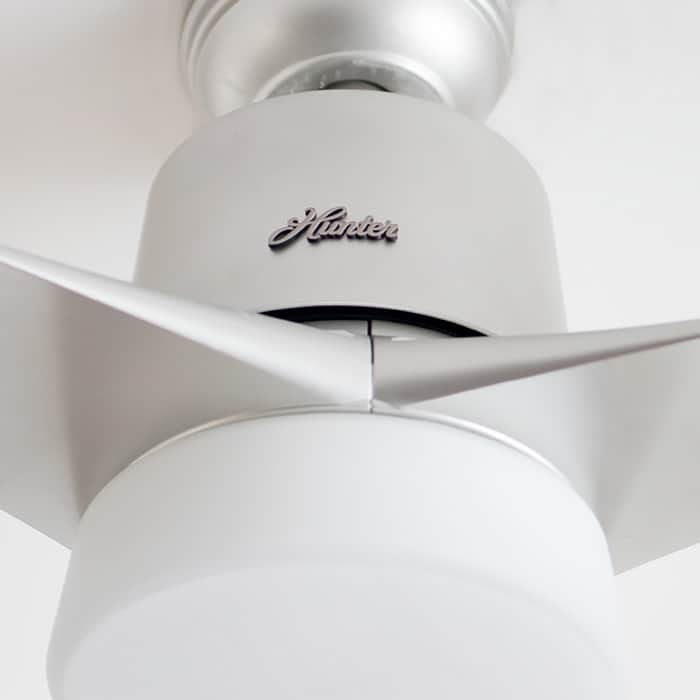 With my new Hunter SIMPLEconnect™ ceiling fan I didn’t have to sacrifice style for functionality! I chose the “Symphony” style in Matte Nickle. 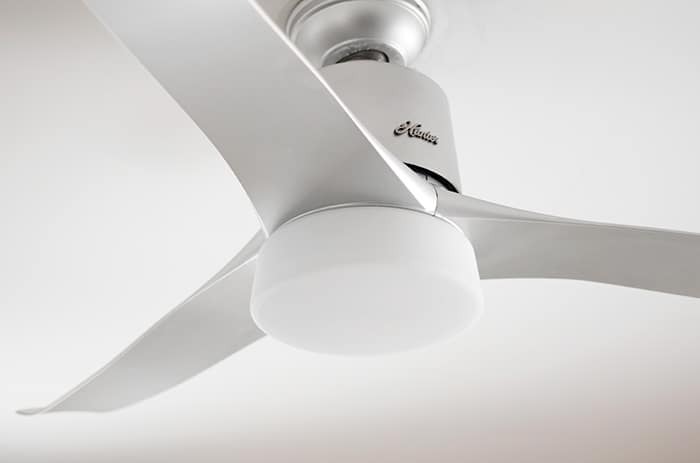 It’s everything my old fan wasn’t- sleek, modern and quiet! 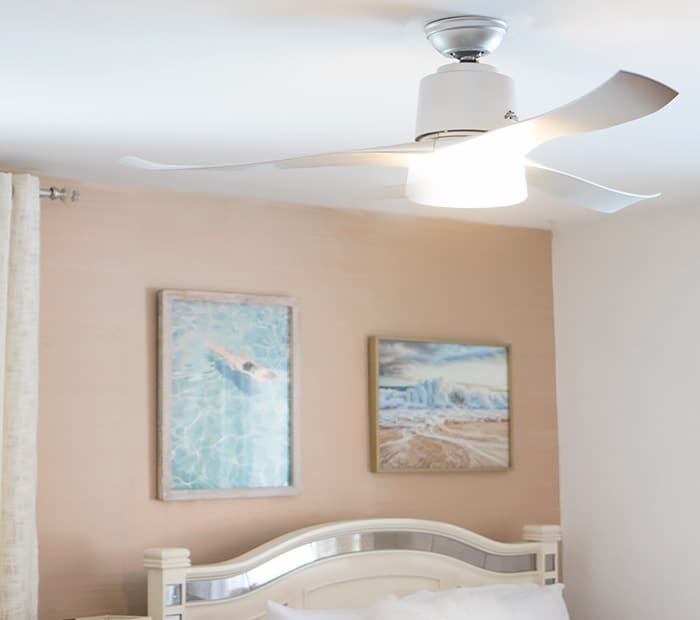 Hunter’s SIMPLEconnect Wi-Fi Collection are smart ceiling fans. 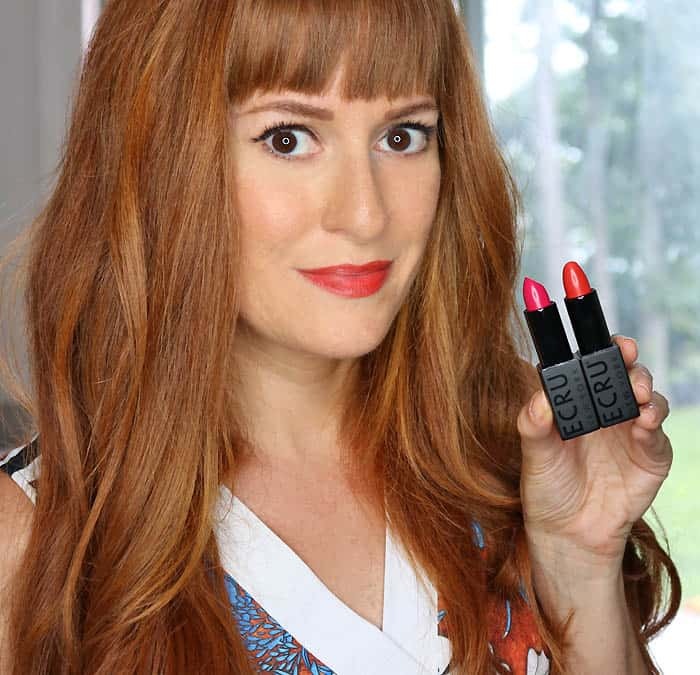 They’re so easy to integrate with Amazon Alexa, Google Assistant and Apple® HomeKit™ even if you’re not tech-savvy (like me!). The Hunter SIMPLEconnect fan also connects to my smart thermostat to keep the house energy efficient. The fan can be put on a schedule so it begins cooling the house before I come home, rather than running all day. 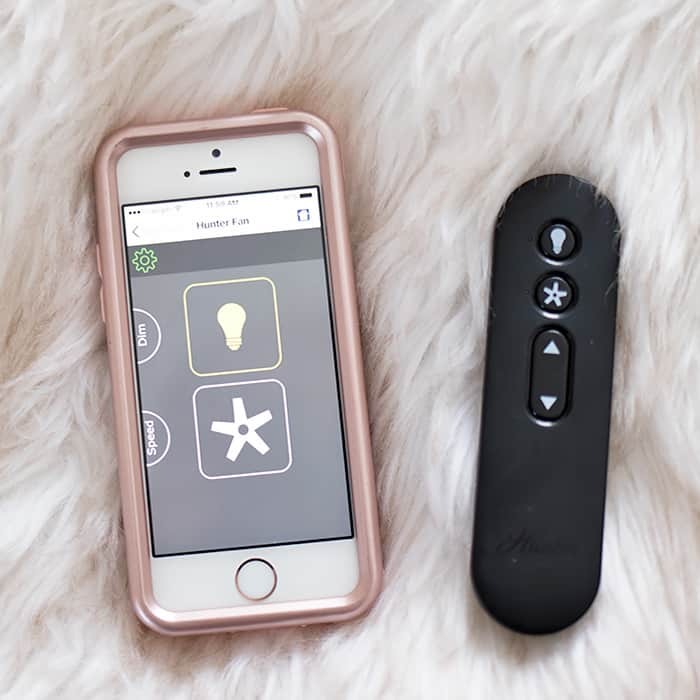 Hunter’s SIMPLEconnect Wi-Fi Collection also comes with a remote control if you prefer to use that. 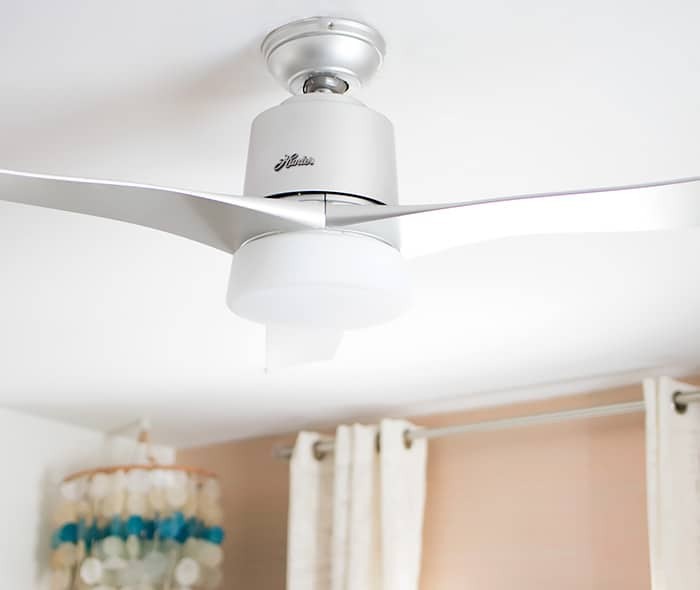 One of my favorite things about this fan, besides the great design, is how quiet it is! Hunter’s SIMPLEconnect Wi-Fi Collection comes in a variety of finishes and colors to fit any decor. The “Symphony” style also comes in Matte Black and Fresh White. 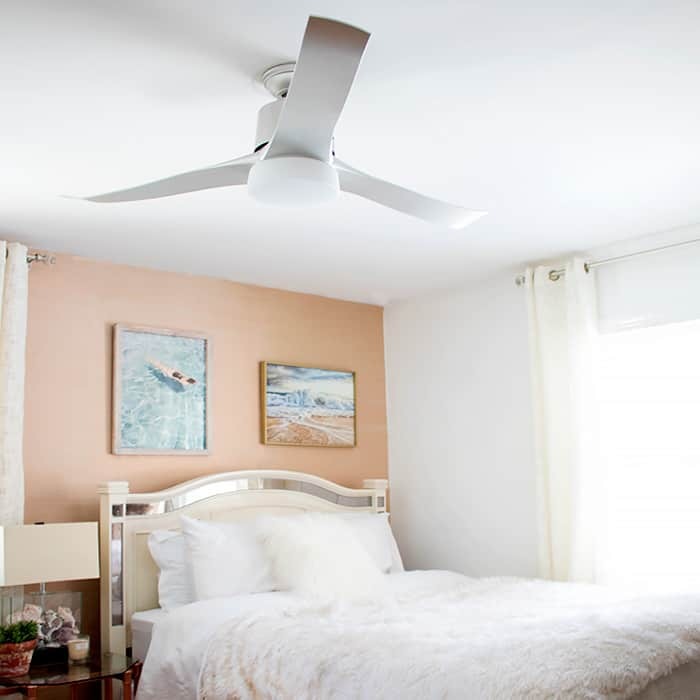 This fan was a great addition to the bedroom! You can check out the full collection at Hunter. My Patio Makeover with Lowe’s!! !